In the case of the stegosaur, data converges from several areas into a big-picture view. You have the existing glyph at Massinaw which is clearly not a modern animal and clearly has the stegosaur's dorsal spikes; you have the testimony of Amerind oral traditions which Vine DeLoria noted in "Red Earth, White Lies" (Amerind traditions describe Mishipishu, the water panther/stegosaur as having red fur, a sawblade back, and a "great spiked tail" which he used as a weapon; and you have the testimony from Lewis and Clark who noted that their Amerind guides were in mortal terror of the Mishipishu glyphs around the Mississippi river (the original intent of the things was that of a warning sign: "One of these things LIVES here, be careful!!"). The above tracks are from a large herbivore with round feet. Also North of Moab UT. Hi Ted: I enjoy walking very much, but drove to the dino tracks. I believe the map below is the location. The link below describes the dinos, one with a limp. * As I said in my last post, Cardona said there was a polar bulge at the north pole and that magma below the bulge was removed, causing collapse of the crust above it. That's definitely evidence for Fred's theory and against Earth expansion. The latter would predict addition of magma, not removal of it. But Fred's theory would predict removal, because the polar axis of the Earth shrank as the magma moved to the equatorial zone. 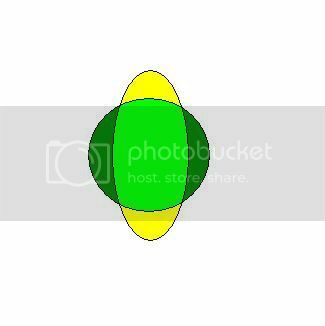 - The yellow & light green oval represents Earth squeezed in a Z-pinch. - The green circle represents Earth after release from the Z-pinch and subjected only to normal gravity. - Magma within the yellow areas in the polar regions would be removed into the green areas. * Fred points out now that even around the polar regions there would be evidence of crustal expansion, due to the ends of the oval shape flattening to a sphere shape. But I add that there would still be removal of magma inward from below the crust, as Cardona mentioned. an electromagnetic z-pinch can squeeze plasma with such force that it rapidly compresses. * Much of the Earth may be plasma. But an experiment with a soda can shows that the Z-pinch can also squeeze metal the same way, as shown earlier in this thread. 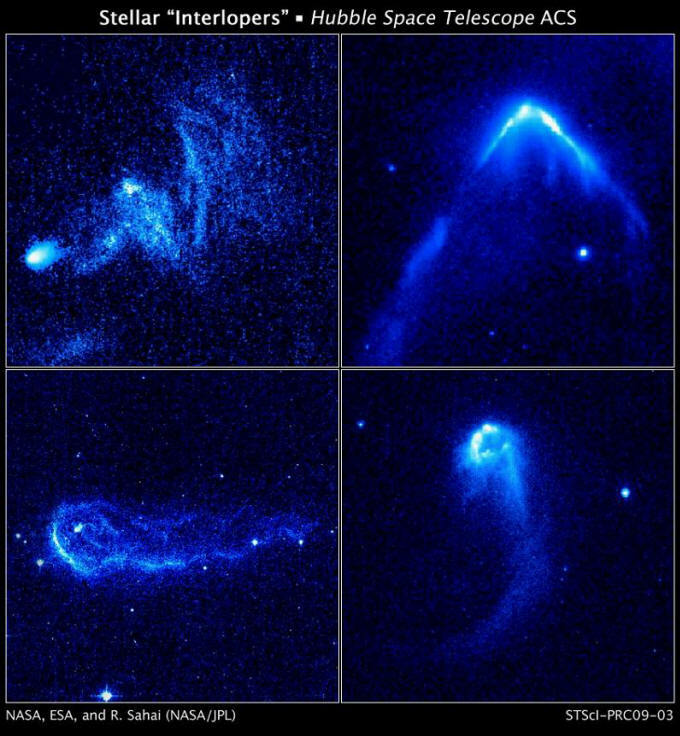 - Astronomers have recently discovered a band of energetic neutral atoms around the sky. This discovery supports the hypothesis that the Sun captured a previously independent Saturnian system, in which Saturn was the brown-dwarf primary for the planets Earth, Mars, and Venus. - Part 1 described the first kind of electric star, the anodic star, formed at the focus of a z-pinch. The sheath around such a star would have the shape of an hourglass, as is seen in planetary nebulae. Recent observations of energetic neutral atoms indicate that the Sun’s sheath also has such a shape. 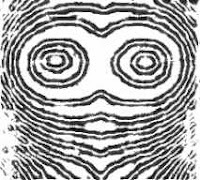 I always thought the alleged Z-pinch was above earth, hence the squatter man rock art. * Yes, the polar plasma column was part of the Z-pinch. The pinch was an ion stream, I think, that flowed all around the Earth from north to south, according to one of Peratt's illustrations. I hear that the squatterman figure, chain of arrows etc was how the column looked when it was being severed during the Saturn System breakup, which is why it was seen toward the south pole. I think I linked to Peratt's paper in an earlier post in this thread. I've read Peratt's paper and it is very good, but he doesn't give any interpretation or cause of the Z-pinch, just that rock art testifies to its existence. * These two TPODs discuss the arrow chains etc. * This is the image for the second TPOD, showing arrow chains in vacuum tubes. * Below are numerous rock art images from this website: http://mormonprophecy.blogspot.com/2008/12/prophets-and-plasmas.html. * Apparently, these were some of the last images of the polar column that were seen before the Saturn System broke up about 4,500 years ago in or near the asteroid belt. * At http://thunderbolts.info/forum/phpBB3/viewtopic.php?f=4&t=4932&start=15, the second page of this thread, I mentioned part of Fred Jueneman's version of the Saturn Theory. In my post above I show an image meant to describe Fred's idea of how the electrical Z-pinch from Saturn squeezed the Earth equatorially into an oval shape. The image shows both the spherical and oval shapes superimposed to indicate that it changed from one shape to the other. Here's that image again. > Fred, ... if Earth was sometimes within a Z-pinch and sometimes not, does that mean that the early biosphere would have grown large during the pinch times and would have been crushed when they ended and Earth returned to spherical form with a thick atmosphere? Or had the atmosphere already been greatly reduced by the time life developed? In my view, proto-Earth was nearly always within the confines of the Bennett pinch throughout its history. Catastrophic extinctions apparently occurred when proto-Earth was not at the focus of a Z-pinch. Along with this, if I didn't make myself clear earlier, proto-Earth always had a thicker atmosphere, but lost massive chunks of it with each catastrophic episode. For convenience I will only count as significant the five major extinction episodes. What atmosphere we enjoy today is a pale remnant of what may once have existed in the primordial past. All flora and fauna would have survived and become acclimated under this atmospheric blanket, much as today's sealife in the abyssal depths of the oceans are in equilibrium with their environment. But, after each catastrophic episode, both flora and fauna would have had to adapt to the new environment. Everything about us today is a result of that adaptation. What happened to the idea that the earth was once much smaller, and that the tectonic movement has been due to its becoming bigger. Expanding at some plates and contracting at others. If you take the whole planet and shrink it at the pacific plate (and a few others), everything comes together. Seems like there's a video of that on youtube somewhere. Thanks. I knew that had been discussed here before. * I'll try to give a summary of the highlights of this thread so far. * The theory that Earth was a moon of Saturn is accepted by most or all of the Thunderbolts team. 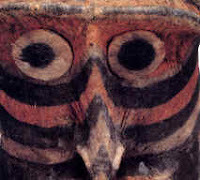 Talbott wrote about it in his 1980 book, The Saturn Myth. Cardona has written 3 big books about it so far, called God Star, Flare Star and Primordial Star, and hopes to write a few more. Both got their initial Saturn theory ideas from Velikovsky, who found evidence in the 1940s that Earth had been a moon of Saturn. * The oddest thing they found was that Saturn appeared to the ancients to be a pole star that was usually fixed in one part of the sky on Earth's northern axis. Cardona finally found a plausible mechanism for that odd shish-kabob configuration. Saturn, as a brown dwarf star outside the Solar System, behaved like a comet, with Mars and Earth following behind it, similar to the way the SL9 comet fragments trailed behind each other in a near straight line. If one were positioned on one of those trailing fragments, one might have been able to view the leading fragment, which would have appeared constantly to be straight up, instead of one orbiting around the other. So that's why the ancients saw Saturn constantly straight up over the north pole. * When I started this thread, I thought I had a good insight into how a supercontinent on ancient Earth could have broken apart into continents and islands. I thought Africa must have been at the north pole after detritus from periodic Saturn flares had built up a supercontinent in the northern hemisphere, centered on Africa. And I thought, when Saturn flares caused Earth's surface to stop rotating and then start again, the friction at the Moho layer could have melted the crust thin enough for the peripheral continents to break away from the central continent of Africa, due to centrifugal force as the Earth returned to faster rotation. But, then, I heard more from Dwardu (Cardona) and Fred Jueneman, that changed my mind. * After about 30 years of knowing about the Saturn Theory, Fred didn't accept it until about a year ago, when he read a paper by Peratt about the squeezing effect of electrical Z-pinches, which Saturn's electric field must have done to the Earth (and Mars etc). When Saturn's electric field subsided, gravity would have then formed the Earth into a sphere. The crust would then have broken up into continents, as the space between them expanded equatorially. The surface around the poles would also have expanded, but the magma along the shortening polar axis would have been pushed down toward the equator away as the poles shortened. This explains the evidence of both continental drift and Earth expansion. * Saturn's Z-pinch would have reduced Earth's equatorial circumference and elongated its poles, making it oval, and it would also have made the Earth spin much faster, causing objects to weigh much less at the surface. So the large dinosaurs, insects, tree ferns etc would have been able to grow much larger than today. * Comets appear to be within strong electric fields that produce Z-pinch effects and the fact, that many of the comets that have been observed are seen to be elongated, is good evidence that Earth could also have been elongated in such a Z-pinch. The only problem I have with the "Cometary Shishkebob" is how the planet's eventually stabilize into our current orbits from then. If Saturn was the lead edge of the shishkebob with mars/earth following how do the orbits stabilize near the ecliptic? I would expect them to come in at a significant angle and maintain that. However, if the trajectory was near the ecliptic, then all of the planets should have their rotational axis at near 90 degrees like Uranis. If they came in at an angle of around ~30 degrees like Earth/Mars/Saturn/Neptune have to the Sun's equator, how do they all settle into orbits that have less than 7 degrees inclination to the Sun's equator.